They engage and involve everyone 24-7. 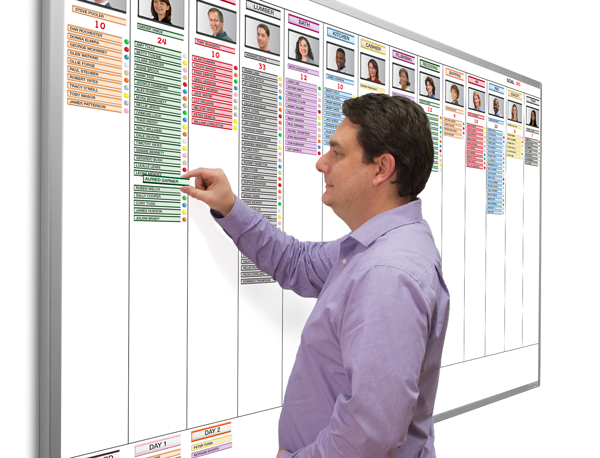 When information is visibly displayed around the clock on your production floor where everyone can see and study it as often or as long as necessary for understanding, you will soon find that productivity increases rapidly because everyone feels personally included and entrusted with the success of the team effort. It's a "people thing", like sharing the road map with everyone on the trip. To really make it work, let the people involved have the responsibility of maintaining the boards for the team.